Phil Roberts and I went ‘up north’ in search of eagles, or anything else of interest last weekend. The large number of Greater Spotted Eagles seen at Sabkhat Al Fasl and Dhahran this winter made us think we may see more eagles in the north as this is the best area in the Eastern Province for seeing them. We were sadly to be very disappointed and failed to see even a single eagle. Other interesting birds also occur in the area but again we failed to locate most of them. We spent a lot of time looking around the pivot irrigation fields at Qaryat Al Ulya as well as a couple nearer to Nayriyyah and although they looked excellent for birds with short newly grown crops and a lot of water around we again failed to locate much of interest. This may have been due to the fact we had just had a large amount of rain a couple of days previously and the birds were not so attracted to the water in the pivot fields? The best birds we saw were a flock of 13 Northern Lapwing, a species that is not all that common in the winter in our region, but unfortunately we could not locate any Sociable Lapwings amongst them like Lou Regenmorter and Rob Tovey had done ten kilometrs north of Tabuk where they had seen ten birds on 15th November. 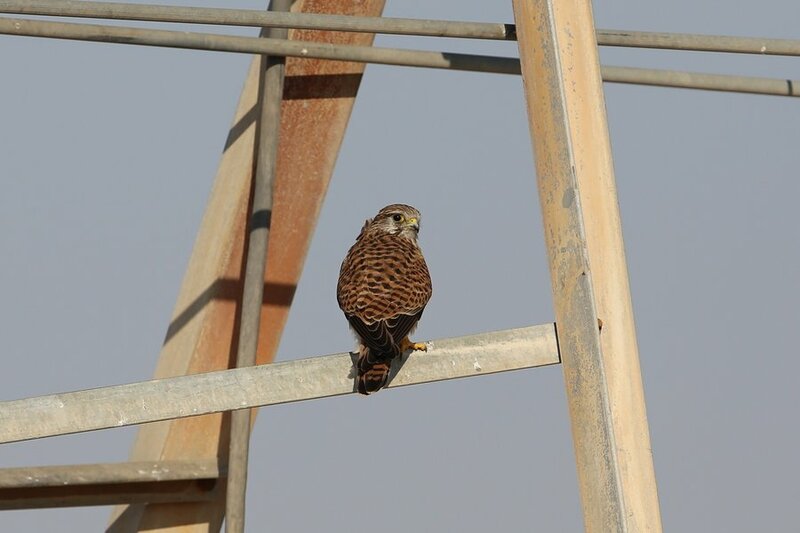 Up to ten Common Kestrel were hunting over the fields and small numbers of Eurasian Skylarks were seen in a couple of large irrigation fields. 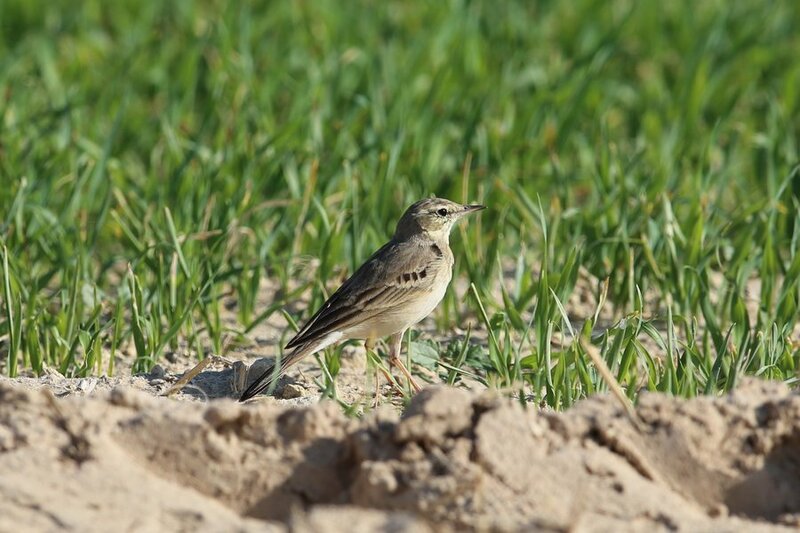 Tawny Pipits and Isabelline Wheatears were the commonest birds seen with 20 – 30 of each species. 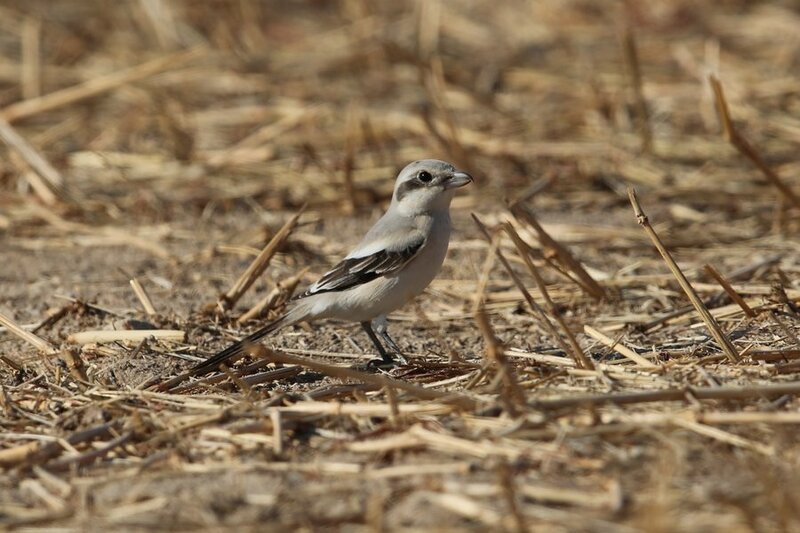 One field had 30+ Namaqua Doves present but otherwise Crested Larks and Laughing Doves were all that was seen excepting a single Mauryan Grey Shrike. 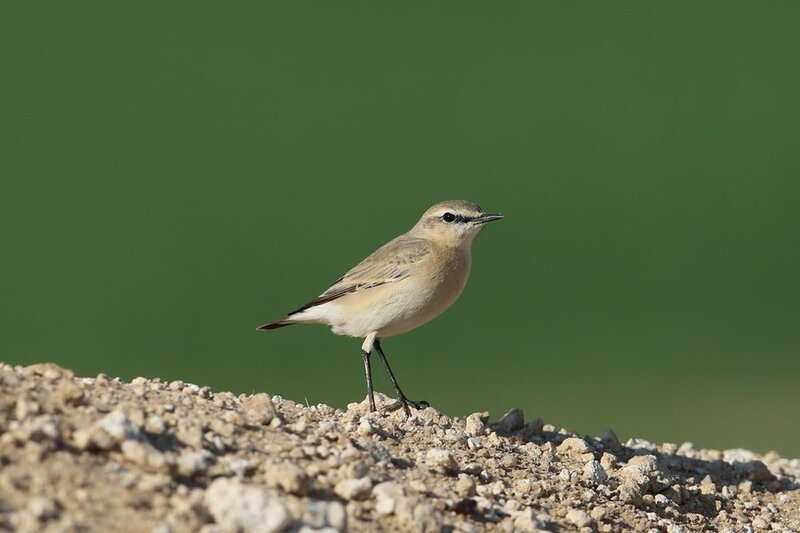 The photograph below of the Isabelline Wheatear looks like the background has been altered in Photoshop but this is as taken with the vivid green colour being the crops in the pivot irrigation field behind the bank the bird was standing on.